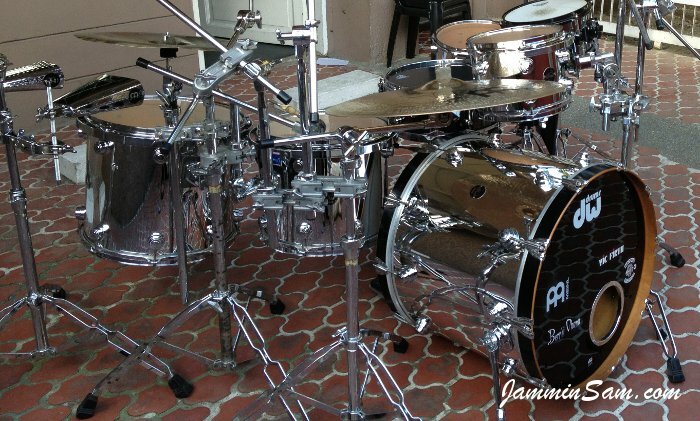 Pictures sent in (May 2012) by Bennii Obana from Luzon, Philippines of his DW drums. Now that’s a BIG BANG Bennii! My experience was AWESOME! 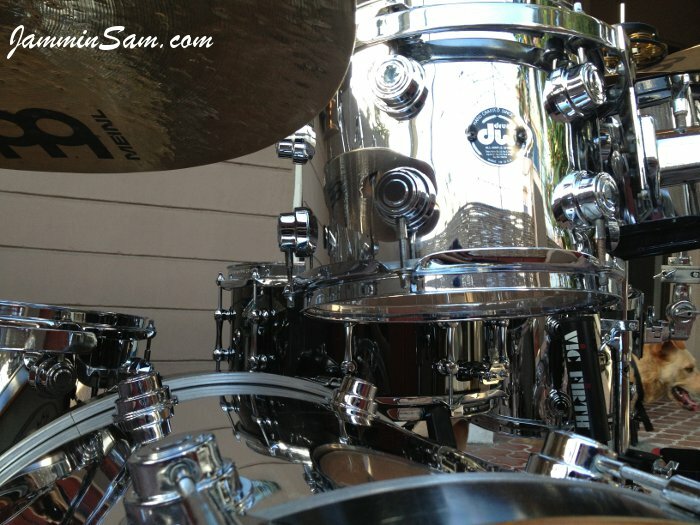 I screwed up the 10″ and 12″ drums so I had to reorder wraps for those two drums in a hurry. I was more than glad to pay since I screwed up the first job so bad. When they say “experience is the best teacher,” they’re not kidding! 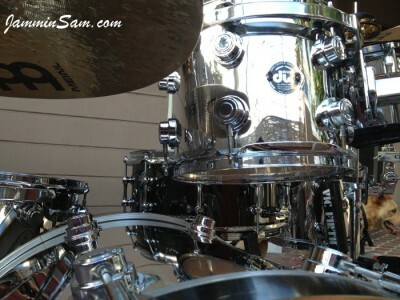 With experience on my side, I re-wrapped the two drums and I totally rocked it! This is one of the best purchases I have ever made for my DWs and I have absolutely no regrets whatsoever! I didn’t mind doing any of the work from start to finish. Sure, it’s time-consuming, but as my mother’s hairstylist used to tell me, “It hurts to be beautiful!” The wraps are easy to work with and the instructions are easy to follow- just don’t speed-read through them because something could be missed along the way. The job itself wasn’t nearly as meticulous as I expected and the results are stunning. TOTALLY worth the investment! Attached to this e-mail are some pictures of the kit that I took in our driveway yesterday. One of my bands (Tempestuous Jones) is preparing for a tour that starts next month. The trip will take us around the big island of Luzon here in the Philippines. We will start and end here in Manila, hitting the various provinces. 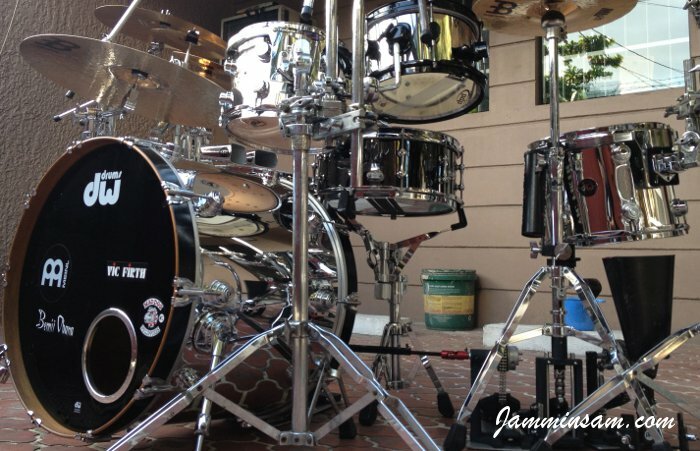 I showed these pictures to my bandmates in T. Jones (and The Blue Rats)… No one is convinced that this is the SAME drum set I had last month! Once again, THANK YOU, Jammin’ Sam!! !